Let me ask you a question — are you happy with your poker results right now? Are you where you deserve to be or are you frustrated by fish getting lucky and busting you after all your hard work? You know the kind of thing I'm talking about. You have and the fish has — and then big surprise, a jack on the river. 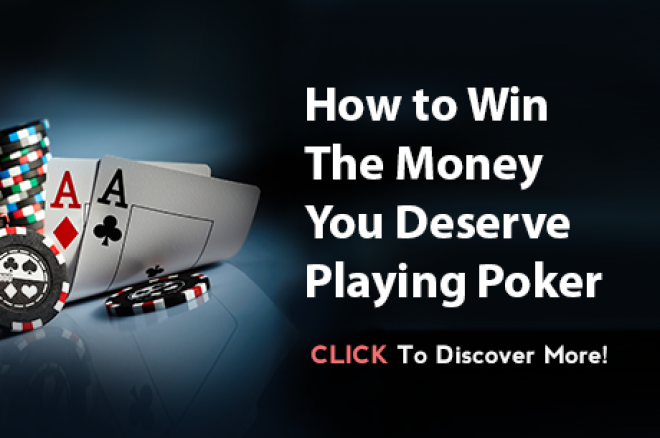 All your hard work undone in an instant — and your bankroll takes a real beating. Here’s the truth of it — Poker can be damn frustrating. It can be super hard to make the money you deserve when you keep getting unlucky. The good news is it doesn’t need to be that way. Nick Wealthall, host of the UKIPT and the voice of the Sunday Million and WCOOP, has spent the last 10 years surrounded by the very best players in the world. And he’s just released a free video training series that’s really surprised us. In it he reveals the winning strategies of the world's best players. He can’t promise to stop you from getting unlucky. But he’ll show you how to make so many good plays that when it does happen, it just won't matter. This is totally unique training and we highly recommend it. To get it, just watch the short video from Nick below, then click the button beneath the video and enter your email. You’ll get sent the video instantly. We don’t know how long these videos will be up for — so don’t miss out — click the button below and enter your email before they go away.